The opinions expressed in this article do not reflect those of Skyd Magazine. I would like to give special thanks to Kyle Weisbrod, Ian Toner, Lou Burruss and Michael Lawler. Discussions that took place behind the scenes are the backbone of this article. In case you have not heard, huge news came out of Boulder a few weeks ago about the 2012 Club restructuring process. There will now be eight regions with algorithmic based strength ratings to determine bids to Nationals (each region guaranteed one). 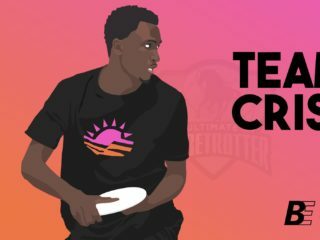 The new and “more formal regular season” will have a U.S. Open and two other invite only, top eight teams per division showcase tournaments with a heightened focus on showcasing the sport of Ultimate at the elite level. Oh, and sorry Masters, this does not seem to really affect you at all. This Summer/Fall holds the greatest potential for the Club level of the sport to be promoted, played and seen by as many people as possible. However, with all of the optimism players, fans, media and USAU are expressing, this redesign can easily be a delusion of grandeur from USAU and could alienate a huge percent of Club players. The concept of a meaningful regular season is quite possibly the most intriguing aspect to the restructuring. A Premiere League style set up, with relegation and all is a dream come true for me and many top tier players I know. The Club Series is the perfect place to implement this plan. Ultimate needs a sustainable elite showcase series to prove to the mainstream that Ultimate is in fact a sport. I love the organic growth the sport has seen, in particular at the Youth and College level, but it is time to stop treating every team as equal and let the best of the best in the Club world stand out from the rest. While the details of how this will be implemented are still unclear, I have faith in Dr. Crawford to help turn this from an approved concept to an executable format that not only brings a higher caliber events, but makes the sport more enjoyable. This should be an example of USAU taking time to research and implement on a sure thing. Not only will a top tier make the sport better to watch, it will be a better model for those of us that love to follow the sport. By providing a more structured season with greater consistency of top tier teams participating in the same tournaments, it will make following the sport easier. Along with the U.S. Open, the top teams will have to play in two other, preexisting tournaments during the Club season. If the top eight teams (which I hope increases to at least 16, but no word on that though) are mandated to play three round robin style tournaments, there would be a 21 game regular season with the same competition through out. This makes marketing the sport that much easier, and makes stats meaningful. You no longer have to compare the stat lines of the assists Matt Rebholz gets in his sectionals game against State U’s B team to that of Brodie Smith against Revolver at Club Nationals. Finally, following the sport becomes simpler and the discussions become more in-depth and stats have true meaning (as part of the media, this is about as great as it can get). There is, of course, a clear drawback to the top tier and relegation system. Michael Lawler presented a strong example when he brought up Earth Atomizer. This was a team that fought and earned their way to be the number two team in Boston. Though Atomizer was never a huge contender in the club series, it had players capable of playing with elite teams. Why is that important? Earth Atomizer is responsible for bringing innovations to the game like clam D and the two handler zone O. If this team was forced to play second tier, it could completely disband as the best players focus on going elite. The middle tier of the sport could be harmed, and those are sometimes the most exciting to watch at Nationals, i.e. Kami Groom and RevoLOUtion finishing top eight at Nationals. Now, for what you are all probably most concerned about – strength bids. As of now, the rumor is the same algorithm for college will be used in club. I have heard there might be tweaks to it, but do not expect much change. I worked on a committee to try to formulate a new algorithm, but the time and costs involved turned out to be far greater than expected, and the project has been shelved. The sheer time needed and technical knowledge required to test new algorithms with the way the data is currently set up made it unfeasible given the size and scope of our working group. Will assigning 8 strength bids based on an algorithm ensure the highest level of competition at Nationals? Possibly, but there are already concerns. Upsets like Brute Squad against the Capitals in Regionals last year could have seen a 3 loss team miss a chance, and their top 4 finish at Nationals. There really needs to be some human aspect placed into these selections, especially knowing that USAU made an attempt to formulate a new algorithm. This could be the one time where a BCS style set up, computers and human polls actually works out, since it is not just the top two teams that matter. Or, what about four bids based on strength through algorithm rankings and four from a human selection committee, pre regionals, that determines total bid allocation. If Ultimate is going to progress a spectator sport, a selection committee would allow weaker squads to play their way in, but still allow the top remaining squads to qualify and not suffer for having stumbled in one game. One of the most innovative, yet potentially disastrous mandates of the restructure is the U.S. Open. The event will be held at the Air Force Academy in Colorado Springs, Colorado from July 4th-8th. It will bring together the top eight Open, Women’s and Mixed teams for an elite showcase tournament. It is currently scheduled to take place the weekend after Potlatch and during Worlds. The decision to compete with Potlatch was done with a lengthy amount of review and direct with DiscNW being aware of the potential conflict (confirmed from multiple sources). Is forcing the top 8 teams to potentially skip Worlds, and that one weekend off a year where being elite and being a goofball are held at the same accord? That is a huge question going into the first U.S. Open. I doubt any elite team will let their members play at a huge party tournament right before what is being billed as the most elite tournament of the year. The regional redraw was an effort to cut down on travel costs, but now forcing teams to go to Boulder for what will essentially be a week, plus Sarasota for a week and the two other, yet to be determined tournaments, negates the benefits of this new, easier to travel regional makeup. Ben Wiggins certainly expressed it well in his article Business as Usual in 2012 article. Ben wrote that you cannot expect Club teams to commit to more traveling, expenses, time away from home and work, without giving them something in return. I can only hope I can attend the inaugural U.S. Open and judge it on its merits, and not just the fears and expectations I have leading up to it. I want to see this event not just be a better than average tournament with great teams, but an event that truly emphasizes the amazing athleticism and, dare I say, Spirit, our sport has to offer. The Club restructure really boils down to one word: details. The devil is in the details. If USAU has already addressed the challenges of using a ranking algorithm for bids, rostering restrictions, promotion and delegation (which is known to still be in the works), and the requirements being imposed on the elite teams, this restructuring could be the turning point for our sport. However, I cannot help but wonder, what if this is the wrong solution? What happens when the top tier teams say enough is enough? They will no longer be forced to attend tournaments that are only slightly better than what is currently offered, but require more time and money. Can Revolver, Ironside and Chain force USAU into changing this plan if they boycott? There is no reason the top eight teams, in all three divisions, should not get together and decide if this is what they want to do. 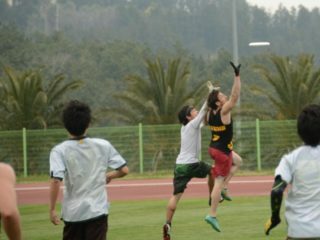 Do groups like AUDL and the UOA come in and offer an affordable option in which the teams playing have some say in what happens? I was excited at the prospect of Conference 1 when it was first announced only to see it collapse, and I fear I see the same makings in this new Club Series. How exceptional will this redesign have to be to keep enough teams content to play at the second or third tiers without alienating enough people to see a schism occur that opens the doors for other leadership and organizations to offer something different? How long does USAU have to prove that they know what is best for the sport at the Club level? My only answer to this right now is we have to wait and see. 20 years from now, we will all hopefully be able to look back to the 2012 season, while watching the U.S. Open on ESPN (or SkydTV) with our fantasy teams stat trackers on our phones, and remember that 2012 was the year our future began.